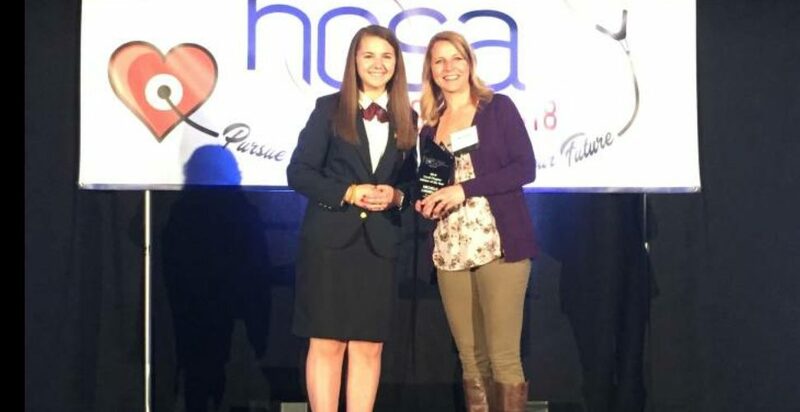 Kearney School District is proud to announce that Michelle Lawrence, Kearney High School teacher, has been named the Missouri HOSA 2018 Local Chapter Advisor of the Year. Lawrence has been with the Kearney School District since 2007. She became the Project Lead the Way Instructor in 2012 and has served as the HOSA sponsor since 2014. The purpose of the HOSA -Future Health Professionals organization is to develop leadership and technical health occupation skill competencies through a program of motivation, awareness and recognition. The nomination application stated that this program’s success relies on Local Chapter Advisors leading by example and assisting students to find their individual attributes to become future health professional. Nominations were accepted from local chapters across the state. Ultimately only one is recognized as the state’s Advisor of the Year. As this year’s award recipient, Lawrence becomes the state’s nominee for recognition at the International Leadership Conference that will be held later this summer. 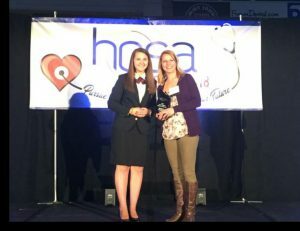 In addition, she was nominated by Missouri State HOSA to receive the Goodheart-Willcox Outstanding Service Award.